Happy Friday, everyone! So, this has been an interesting week. It has been an absolutely dismal week for reading, but I’ve done some really fun stuff in terms of blogging and such. My book club is meeting tomorrow, so I’m hoping that will get me back on the reading train! Ouch. For the first time since I started these weekly wrap-ups, I’ve got nothing for you here. Nothing! I didn’t read a single book this week. 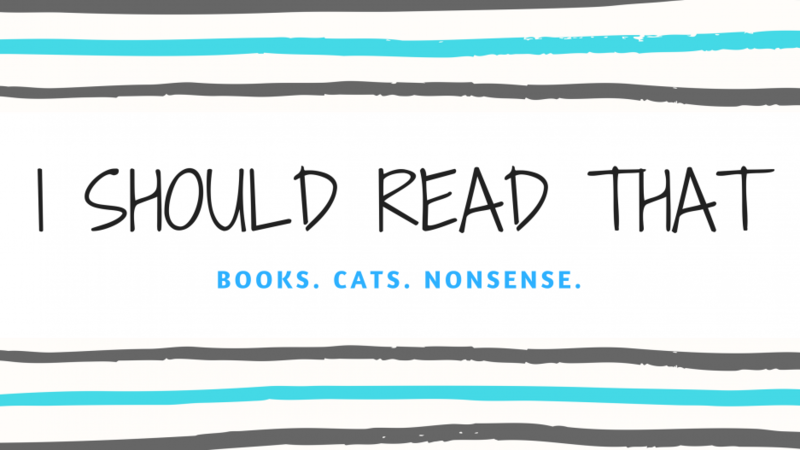 I’m in a bit of a slump – I just don’t know what I want to read next and I get a bit panicky every time I pick up a new book. I keep feeling like I’m picking the wrong thing! I was going to settle down with Shadows of Self by Brandon Sanderson, but it still didn’t feel quite right. I’m currently ‘reading’ the second book in the Grisha trilogy. Why the quotes around ‘reading’? Well, I’m getting through about 3 pages a night at the moment, which is ridiculous for me. I’m just not feeling it. I don’t know if this is the result of my reading slump or if I’m just not loving this series, but I may set it aside for a few days. Urg. Last night I picked up Blackbird by ND Gomes, a proof I picked up at YALC. I think it might break the slump! I needed something refreshing and a little different and this is just the ticket. Wonder Woman: Warbringer released this week! I went to Waterstones on launch day and grabbed my limited edition copy. My heart says ‘READ THIS NOW’, but my brain still can’t make a decision! I think this is defintiely on the agenda for September though –I’ve been waiting all year to read it! It has been a fantastic week for book post! I received three adorable, amazing books from Sweet Cherry Publishing! Although I don’t often review it here, I have a huge soft spot for kids books. These three look absolutely amazing and came in a gorgeous package. I really can’t wait to dive in! I was also so thrilled to come home yesterday and find a proof of The Girl in the Tower waiting on my doorstep! As you may recall from way back at the beginning of this blog, I reviewed and loved The Bear and the Nightingale. I was skeptical of a sequel to that fantastic book — I thought it ended so perfectly — but I’m still looking forward to continuing the series. As I mentioned on Tuesday, I wanted to start up a YouTube channel dedicated to all things bookish. I launched that channel yesterday! My very first video features a selection of books from my September TBR. I really, really enjoyed filming this and plan to do many more soon! I’ve taken all your suggestions and have begun planning what I’m going to do next. You can find my channel here – feel free to subscribe and definitely let me know if you’ve got a BookTube channel too. Shaker of cameras, ruiner of videos. That’s it for this week! Have you guys read anything good? Got anything you’re looking forward to on your TBR? Let me know! I love her so much, but she’s so terrible! We don’t have a table or desk in the current flat, so I have been improvising with somewhere to film. I had to steal the cat tower, and she and Sophia kept climbing all over it and knocking over my phone! As soon as I stopped filming, they ignored the tower. Typical cats! I’m thinking I should put together a blooper video at the end of the year with all the faces I make between takes and the cat mishaps! I’m so, so happy to hear you liked it! I was so nervous — it took me two days to get 10 minutes! Go figure. You touch something so they’re interested. They’re like hairy children – you love them but they’re there to make you crazy!